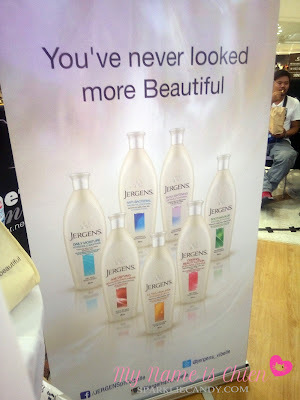 But what will happen if your box is full of JERGENS lotions? 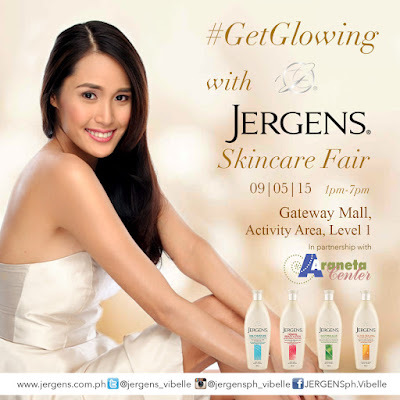 You'll be glowing. Glowing is what you're gonna get. Hahaha okay so yes this marks my very first event ever! Experience glowing skin, the Jergens way. 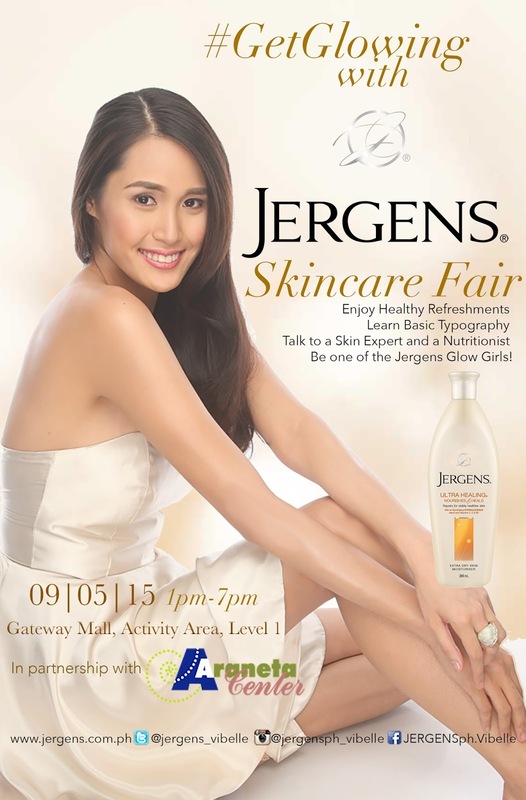 Get personal skin care advice through a one-on-one consultation with the experts, join the open pictorials, sample exclusive concoctions at the juice bar, and bring home samples of Jergens variants. 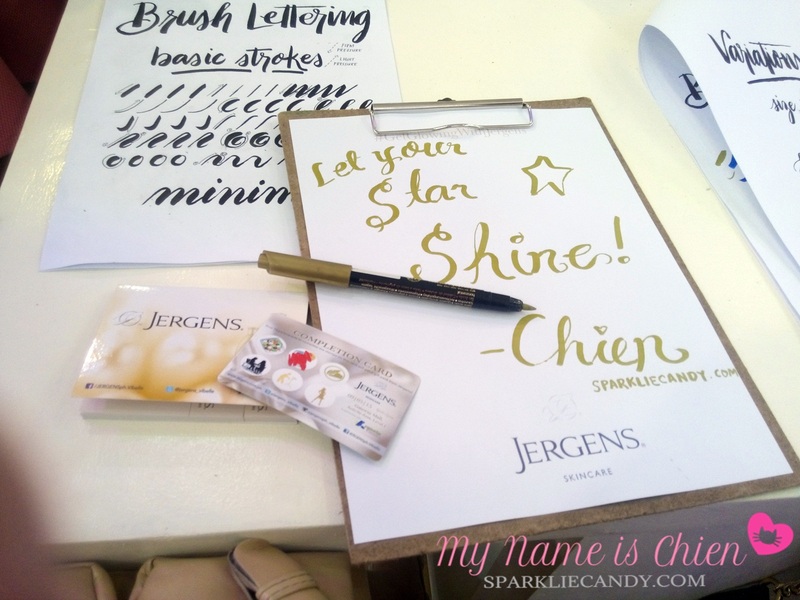 Participate in a typography class and bring out your inner artist through hands- on tutorials. 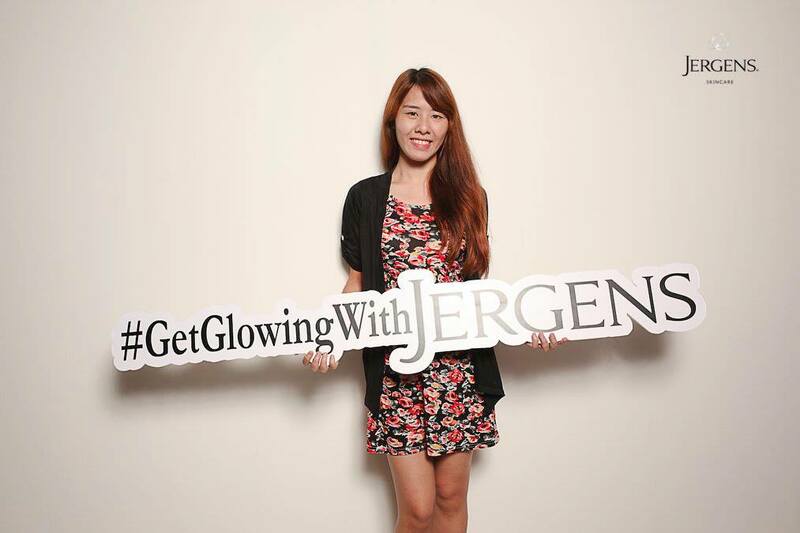 Be one of the five participants who will be hailed as the Jergens Glow Girls and take home exciting prizes. All these and more at the #GetGlowingwithJergens Skincare Fair on September 5, 2015, Activity Area of Gateway Mall, Araneta Center from 1 P.M. onwards. See you there and let’s get glowing! 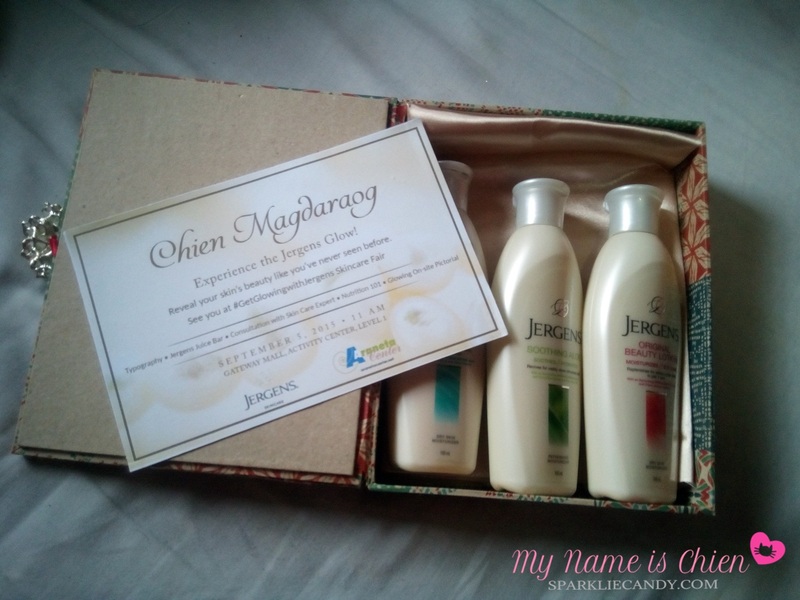 And so I received this lovely box when I got home a few weeks back. 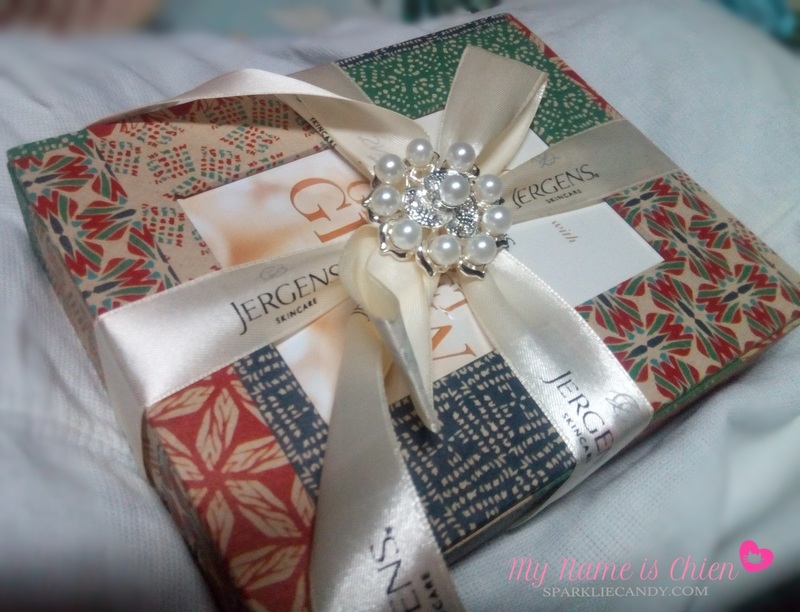 What magic could have been hiding inside? 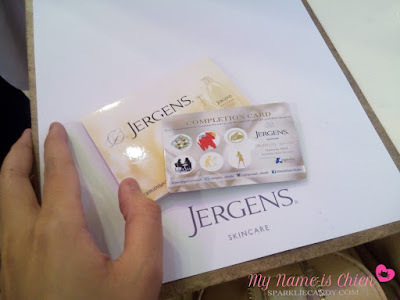 Tadaaaa~ I am invited to the #GetGlowingWithJergens Skincare Fair on Gateway Mall Activity Center Cubao. Lookie it was my first time to do brush lettering. It was fun! 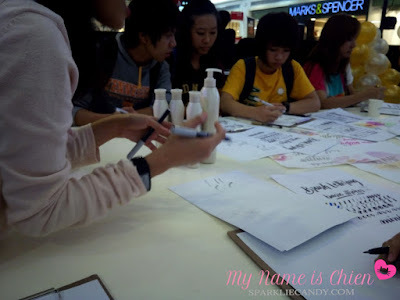 We were asked to write phrases or just the word that contain glow or shine. This is what I made, hello to my golden artwork. We get a completion card for this fun fair. The logo gets stamped every time we complete an activity. There was skin and nutrition consultation, product sampling and photoshoot. I did not get to take much pictures as I was just doing some ninja moves. I was too shy because I was alone, I noticed everyone got some company. I left early but I still enjoyed. This is my first event and it was a good one! 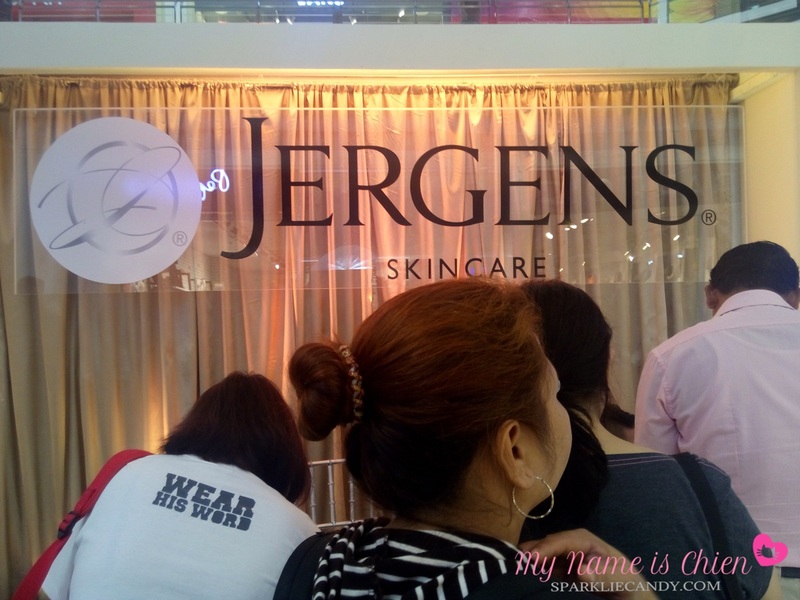 #GetGlowingWithJergens Skincare Fair is a successful fun event!